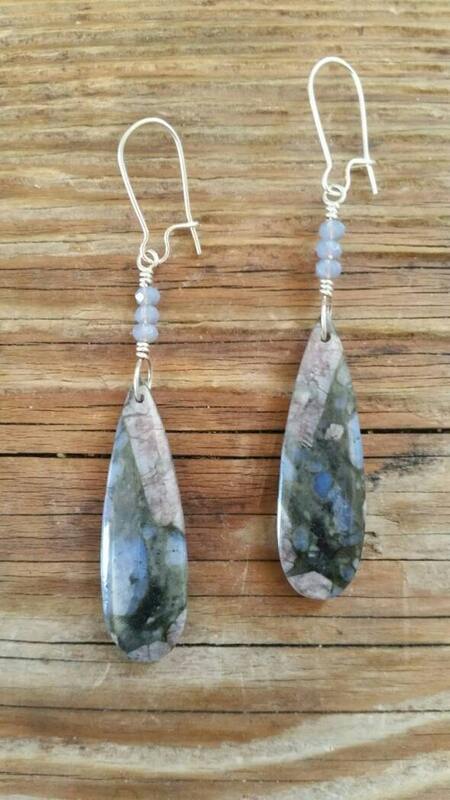 Beautiful larvikite drop earrings. 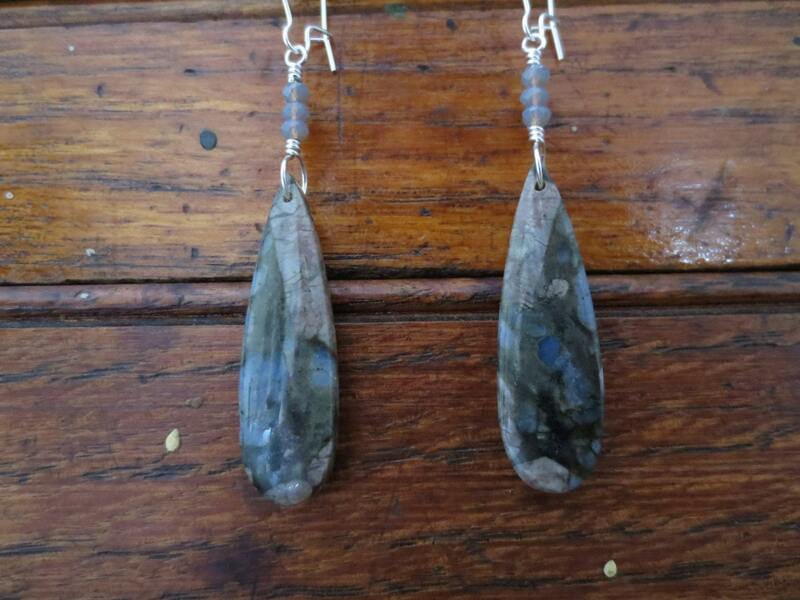 The stones are various shades of blue, lavender, purple and gray. Topped with iridescent Czech glass beads. On sterling silver wire and silver plated kidney shaped ear wires. 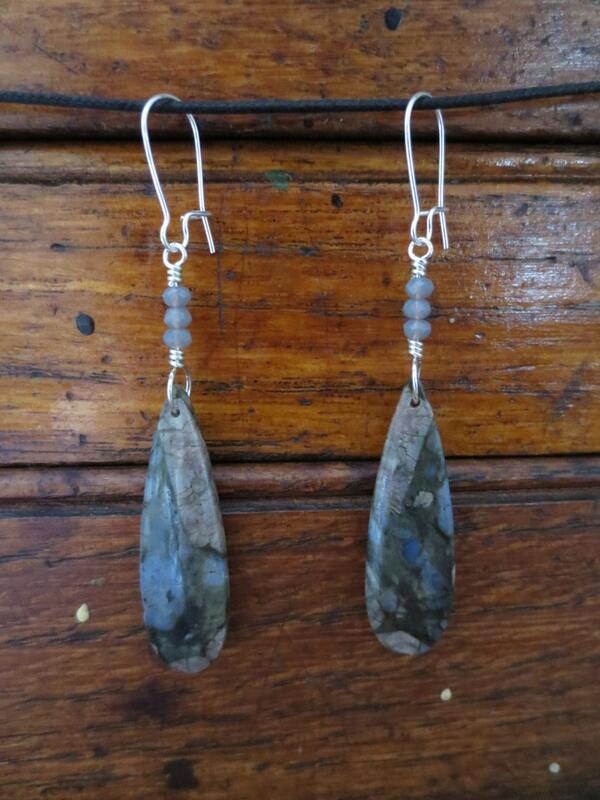 Sterling silver ear wires available upon request.